Eyebrows are one of the most essential features of the female face, giving depth to the eyes. 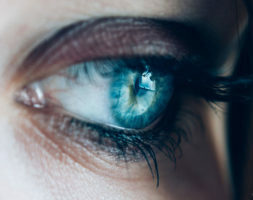 Having ‘open eyes’ makes the face look younger and rested, as well as a healthy glow. They modify our expression by expressing fatigue, anger, surprise and sadnesse. Amongst women, the eyebrow is above the bony margin, whereas it is a little lower for men. Women’s eyebrows have a raised tail, whereas men’s are horizontal. – Ageing of the skin and muscles, sagging of the skin and drooping of the eyebrow tail. 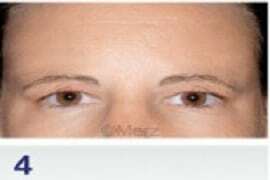 – Reabsorption of the Charpy pad resulting in a hollow appearance (looking sad and tired), overall slump to the eyebrow, loss of depth and facial ageing. – Appearance of the ‘lion’s wrinkle’ (frown lines) due to the corrugator muscle. 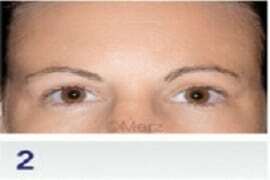 – Appearance of horizontal lines at the bridge of the nose thanks to the movement of the procerus muscle. – Appearance of crows’ feet thanks to the movement of the orbicular muscle. 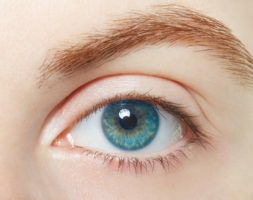 – Change in eyebrow position: the eyebrow can keep the same position, perhaps falling lower (when the reactionary contractions of the frontal muscle are insufficient), or perhaps moving higher (when the reactionary contractions of the frontal muscle are stronger than the downward movement caused by ptosis of the temple and eyebrow).In these three cases, the tail always falls. 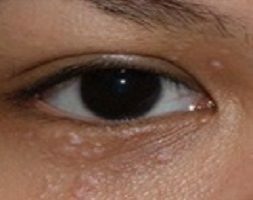 – Sagging of the temple skin and hyperactivity of the orbicular muscle (leading to the descent of the eyebrow). 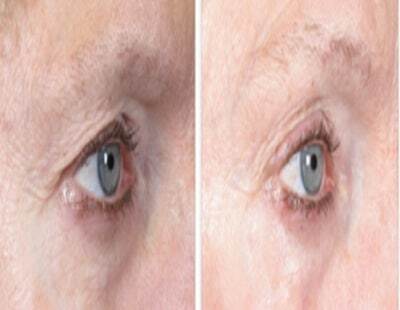 This leads to an excess of skin around the upper eyelid which Blepharoplasty can only partially treat. – Sinking or ‘hollowing’ of the temple. Flat aspect of the eyebrow, very tired appearance. 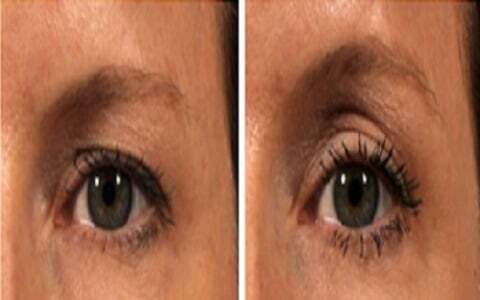 – Fill the eyebrow around the Charpy pad the adipose cushion which droops with age). Depending on the situation, hyaluronic acid can be more or less volumising, and in addition to a deep injection at the level of the bone, we can also inject at a shallower level. The eyebrow can be lifted with highly focused ultrasound, including the Ulthera. The principle is to reduce the amount of fat in the eyebrow that by its weight causes the fall. 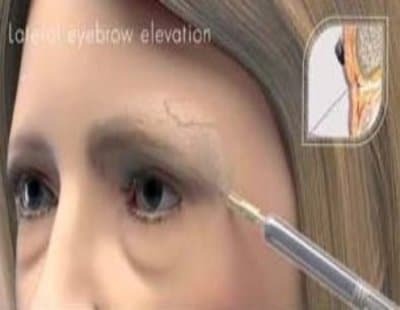 This device is indicated only for cases where the eyebrow fall is caused by the fat. One to two sessions are performed. Threads are placed according to specific diagrams according to the type of result that one wants to obtain. A temporal lift is performed if the tail of the eyebrow is lifted, and a frontal lift if the entire eyebrow is lifted. The result is often moderate. The result is better than what I thought. Doctor Romano adapts her acts to each face. The result is so natural that even people that have known me forever simply told me I looked less tired. The tail of my eyebrows was drooping. Doctor Romano did an objective and complete analysis. Hyaluronic acid and laser for me, I recovered a bright gaze.